Marshall Mosher with Vestigo explains to us how “team building” nurtures surface level interactions, and why it’s more important to build trust. It’s about taking your team to do something challenging, and sharing those experiences. That’s exactly what Vestigo does! From rock rappelling to white water rafting, they provide a platform for your team to face those challenges, build deeper relationships, and learn to trust each other. Often, it’s not our goals that foster success; it’s the ability to conquer our innate fear of failure. As a passion-driven, people-focused ENFP, I use my optimistic outlook and love for new challenges to empower others to “do what they can’t” and discover that “impossible” is simply relative to the mindset you choose to live by. I strive to help people expand that mindset through creating accessible opportunities to embrace new experiences and conquer one’s fear of failure. As a professional action sports enthusiast in whitewater kayaking, mountain biking, snowboarding, scuba diving, and aviation, I use my passion for the outdoors and the world around us to help others discover their potential, challenge their perceived limits, and adopt an empowering lifestyle of focus and fulfillment. I truly believe in the potential of Responsible Risk-Taking as a catalyst for innovation and seek to scale this mindset through the world’s most innovative companies, empowering their team culture through recurring dynamic shared experiences, designed and implemented via Vestigo. Vestigo started in the Spring of 2015, while the founders, Marshall Mosher and Daniel McBrayer, were still in school at the University of Georgia. Marshall and Daniel dreamed about having a place online to find everything you could want to do outside, complete with someone to guide you in that activity. So they decided to build it. They were in the first graduating class of the UGA accelerator program. During the summer of 2015, while Daniel built the beta version of the site, Marshall attended Singularity University in Silicon Valley. The beta launched in September of 2015. In the Spring of 2017, we began to realize the power of using shared outdoor experiences not only for personal growth but to solidify common team goals and values. Since then, we’ve shifted our focus towards creating powerful team experiences that serve as an experiential analogy for a value, goal, or objective you want to instill in your team. With this new focus, we’re one of the only companies to truly perfect the balance of outdoor adventure and genuine team development in a way that truly emphasizes the values that make your company special. Josh Sweeney: Welcome to the Epic Company Culture Podcast, where your host Josh Sweeney will give you the business leaders, HR professionals and company culture aficionados, the knowledge you need to take your company culture to the next level. Josh Sweeney: Welcome fellow culturist to the Epic Company Culture Podcast. Today is the beginning of a new series called Team Building. So, it’s all about team building. We’re going to talk to many different individuals across different organizations around their best and worst team building experiences. And today we are joined by Marshall Mosher of Vestigo. Marshall, thanks for having us. Thanks for coming in. Marshall Mosher: [crosstalk 00:00:41]. It’s great to be here Josh. Thanks for having me. Josh Sweeney: Yeah. So, team building. Tell us a little bit about your company and what you guys do. Marshall Mosher: Yeah, well it’s really funny that this is a podcast about team building because I hate the word team building. And it’s interesting because my company is essentially helping other companies to create really powerful relationships and trust within their companies. Which is usually perceived as team building. But when you think of your deepest relationships you have with the people that really mean the most to you in life, you don’t think of you going out with that person to do something fun as team building. Marshall Mosher: So, team building kind of has this connotation that it’s something that we have to do, that’s not really going to be fun, but hopefully I have a better relationship with the other person. We’re trying to take things on a much more genuine scale that has the really powerful outcomes that we want of connecting people on a deep but genuine level. Which is technically team building, but we just don’t like to call that. Josh Sweeney: Yeah. Maybe we’ll go a team performance, increasing team performance. Marshall Mosher: Exactly. This is one of the problems we’d figure out how we actually refer to that, but exactly [crosstalk 00:01:48]. Josh Sweeney: Yeah. So, tell us a little bit about how you do what you do. What does it involve? What does it look like when you get people together for longer periods of time for these deeper experiences? Marshall Mosher: Yeah, absolutely. So, a lot of companies when they think of what are we going to do outside of the office to create really powerful relationships within our team. A lot of people go through the typical things that most people just know of. Because that’s natural for us to default to the things that we’re familiar with. So, we get a lot of happy hours because who doesn’t know what a happy hour is? Get a lot of sporting events here in Atlanta, braves games, a lot of top golf and bowling and things like that. But in reality, a lot of these types of experiences only get surface level interactions. Which is the same you’re going to have back in the office. You’re not going to talk about something really deep that is really going to help you open up and connect with the coworker at a happy hour or a bowling or a baseball game. Marshall Mosher: But unfortunately that’s what most companies tend to default to when they choose these types of things. So, we come in from a different angle and say, “We know that trust is one of the most important factors for any team based on the relationships they have with their coworkers. The ability to trust their team that they have their back.” So, we create experiences that help people to build a deeper level of bond with that underlying theme of trust. Using things that people haven’t generally done on a frequent basis, like those other things I described. Marshall Mosher: We use all kinds of outdoor adventure type experiences to do that because they are so unique and so effective. So, for example, we’ll take a team rappelling or kayaking or something as simple as a hike up to the top of a mountain with a beautiful overlook. Whatever it is they’re things that are different, which gets people out of the normal environment of the office to the normal environment of the happy hour baseball game or top golf most people have done before. And it gets people in an environment that sometimes challenges them. Even if it’s hike up a mountain can be physically strenuous for a decent amount of people, but almost anyone can do it if you set your mind to it. Marshall Mosher: So, a challenging environment that helps people to overcome whatever perceived limits they thought they had together with their coworkers in a setting that we can directly link with the particular core values and goals of that company. So, it’s kind of a combination of the fun out of the office experience, but the really impactful type of [inaudible 00:04:08] wants from engagement you’ll invest your time and effort in as company. Josh Sweeney: Yeah. And we, Epic Culture and Vestigo came together for a CEO rappelling event that we hosted. Where we had CEOs take some time out of their Friday afternoon to go rappelling in a nice little spot on the river in Roswell, Georgia that probably nobody knows you can rappel off of. Marshall Mosher: It’s tall [crosstalk 00:04:45]. Josh Sweeney: Yeah. Say it’s 50 feet tall, you’re leaning over on that rope and you have control other people are part of that. And you’re sharing that experience, that really builds the bonds and trust. So, tell me a little bit more about taking the experience to the next level. Taking the team building to the next level around having people share in a physically or mentally challenging experience together. Marshall Mosher: It’s great question. I’m so glad you got a chance to experience it for yourself when we did that event together. Because you absolutely understand how that fits in. But from someone’s perspective who hasn’t had the chance to do that before, sometimes it’s easier to understand when we relate something that people have heard of. So, most of our experiences and the outcome and the effect that we hope to have is based on some really popular psychology research from a professor called Brene Brown. Who most people recognize that name now. Because her work has actually been featured and her TED talk, which is the number one most viewed TED talk in the world. She’s got four books on the topic. Marshall Mosher: So, we create situations where people have to express vulnerability by challenging themselves. Getting outside of that comfort zone and doing it in a way that is understanding to the team that this is challenging to employee X, Y, and Z. And they’re all going through the same thing and being open and vulnerable with admitting that. That’s where the true magic and the true power comes in. Where people are going through something together as a team. That they’re being vulnerable about that is challenging themselves. And coming out on the other side stronger together and individually because of it. So, that research has shown exactly what we’ve seen in the outcomes of our trips, but in an academic way which was really amazing. Josh Sweeney: Yeah. And you had mentioned to me that you had seen some really amazing breakthroughs happen with the teams. You’ve had people take those steps. They walked up and said, “I’m not doing this.” Like in the case of rappelling event. And then by the end they did it and everybody really came together to cheer them on. So, tell me a little bit about one or two of those experiences that you’ve seen transformation for somebody. Marshall Mosher: Yeah. Absolutely. So, human limitations is a fascinating topic to me. I’m a big outdoor adventure enthusiast and love to challenge myself by pushing the limits in all different kinds of sports and seeing what I can truly do. But everyone is relative to their own experience. For me, going down big class five Whitewater rapid is going to be challenging but doable. But for someone who’s just starting something like Whitewater kayaking, just being able to go down a class one to kind of moving water type scenario is challenging. And it all depends on your relative experience. So, when we’re going through experience with the entire team, everyone has a different relative base of where that baseline is starting. Marshall Mosher: But we like to use experiences that is going to kind of reset everyone on the same level mentally regardless of what their physical limitations are. Which is why rappelling is so beautiful on the way it works. In the sense that mentally it’s intimidating to the ultra marathon runner and the person who has never run a 5K before. Because physically it’s actually not that difficult. Like you experience going with gravity and it requires almost no physical fitness or strength. But it requires a lot of mental fortitude in the sense that almost everyone has a degree of a fear of heights in some way. So, regardless of what your physical state is, everyone can be challenged mentally by doing this thing that they may be previously thought they couldn’t do before. And overcoming that fear together with their coworkers in a way that creates really powerful outcome on the other side. Marshall Mosher: So, it’s really amazing in the sense that we’re able to create these experiences and these amazing outcomes for people regardless of where they’re starting from a physical standpoint. Which is what most people think when they first hear it to say, “Oh well I don’t know if that’s for me. I don’t know if I’m in shape enough. Got to work towards that.” But in reality, it’s just overcoming that mental barrier you have in your head of some thing, some idea you’ve put up in your own brain to say, “I can’t do this.” But in reality, the only barriers that are in front of you for that experiences is really all up here. Josh Sweeney: Yeah, I love it. So, have you seen a difference in the duration of events and how much people come together? Because, I mean if you talk about braves game it mean, you’re really sitting next to some two other people. Pay attention to the game, [inaudible 00:09:28] up and down. There’s not really a lot going on there from a team building perspective per se. And then some of your hikes and camping events, I mean they’re entire weekends and things like that. So, how do you see the difference mentally or from a team building perspective for the events that are few hours that you do versus the ones that are multiday? Marshall Mosher: Yeah. So, timing is definitely important and there’s no question the longer you spend with someone, generally the more of a bonds and relationship you create with that person. But there are ways to kind of supercharge that interaction you have with someone in a very short amount of time that can create a very powerful bond. And also the vice versa, where you can spend year’s next to someone in an office and have kind of a surface level interaction on day to day basis, but never really get to know them. So, timing is important, but it’s really the impact of what you’re doing. And that’s the beautiful thing with what we do with all of our experiences is that 99% of everything we do is actually done within a 24 hour period. So, they’re experiences that you can drive to in the morning. Usually the whole team couples together where we coordinate transportation on a bus or a van. Everyone goes does the experience together and then comes back in the evening. Marshall Mosher: So, for a company, the opportunity costs of getting their employees out of the office is usually pretty high. Because they’re obviously not working while they’re on one of these experiences. We try to minimize that time when they’re actually gone and do things that are within that 24 hour, a single day time limit. Sometimes we’ll do overnight camping experiences and multiday experiences. But it’s really only if a company specifically requests it. Because we’ve seen that we can have the impact that we hope to have on a team and on an individual just within that day basis frame for really amazing, impactful experience. And create an outcome that might be more powerful than years of just working next to the person but never really getting to know them. Josh Sweeney: Yeah, I like the comparison of being in the office with somebody for a year, but surface level relationship, one event, 24 hours with some vulnerability and now you’re best friends. Marshall Mosher: Goes long way. Josh Sweeney: Yeah, definitely. So, in addition to taking what most people consider team building up to the next level, right? You added vulnerability, you added mental barriers, overcoming experiences. What I also observed on our CEO rappelling event was that you guys are really facilitating the conversation as well. So, we’re not a bunch of CEO’s standing around waiting to rappel, but you’re injecting the communication into that process. So, tell me a little bit about on these events, how you inject the communication and the sharing into the experience? Marshall Mosher: Absolutely. Yeah, I think the experience lives or dies on what’s called the debrief. That communication piece of how you’re taking what you’re feeling mentally and sharing that in a verbal way with others. And that’s part of the vulnerability piece. The willingness to even do that in the first place. But I like to kind of relate what we do to something else [inaudible 00:12:22] that puts in perspective. Most companies have done something adventurous together as a team and Whitewater rafting is really popular one. So, for anyone who’s ever been in Whitewater rafting with your team, which a lot of teams have done that. So, most people resonate with that, you’ll know that it’s fun. It’s definitely also challenging. It’s a new environment that you probably have never been in or been in very infrequently before. And you have to react to some kind of obstacle. Some kind of change in this case, the changing currents of the water and how you work together as a team. Marshall Mosher: So, it has all the steps and all the categories and factors that we look for and experience that we create. But you’ll probably think back on that team Whitewater rafting trip and say, “Well, I never really got a chance to actually share how I felt. Or explain what was going through my head when I got thrown out of the raft and felt like I was going to drown. And my coworker was right next to me and she felt like she was going to drown too.” But we never really talked about that and we definitely never related it back to what we experience in the office and the challenges we go through. Marshall Mosher: So, Whitewater rafting is a great opportunity to do something fun. But every outdoor company, including all the Whitewater rafting companies out there are missing a huge opportunity to actually customize that experience to the particular company that’s going through the experience. And relate those factors of what they experience back to the particular problems and goals and challenges that that company that went through the experience is going through. But unfortunately the way it works right now is that it’s just a cookie cutter experience for everyone. Everyone’s [inaudible 00:13:49] have the same experience, but it’s going to be more about the what you’re doing and not about the why you’re doing it. Which I’m a huge Simon Sinek fan. 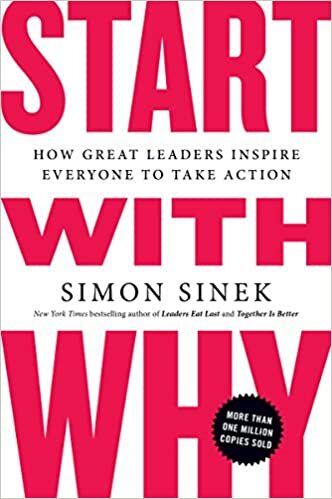 And “Start with Why” is on my favorite books. And that’s very important to us is using that experience. The what to accomplish very particular why. And you have to have very intentional and focus debrief conversations that link the experience of what you felt mentally and physically with the goals and outcomes that you want to relate that to and achieve on the other end. Josh Sweeney: Yeah, I know I and others definitely enjoyed being able to link it to what we deal with in our environment and the changing business landscape and having to conquer new challenges, right? Because it’s rappelling, it’s conquering a new challenge if you haven’t done it before. And it’s the same thing as our business lives change. We have to go conquer new things or switch gears or whatever might be to something we haven’t done before. So, I love the correlation to that. Now you also have a podcast around kind of breaking mental barriers and some exciting things. What is your podcast? Marshall Mosher: But a great way to mentally train yourself and prepare us to go listen to this episode XYZ, the specialized based or whatever experience we’re doing. And these stories, these amazing people will inspire our participants to have the right mindset to want to go challenge themselves, which is really the first step. You can’t make any progress unless you decide I’m going to go tackle this thing that I’ve never done before and challenge myself in some way. So, the people we’ll have on our show are people who’ve done amazing things in the outdoor travel and sometimes outdoor travel entrepreneurship space. Whether it’s people who’ve started amazing outdoor companies. Marshall Mosher: We’ve had the founder of Osprey, the VP of Patagonia, the founder of Cotopaxi, a bunch of really amazing up and coming brands. And we’ve also had a bunch of really incredible outdoor athletes, one of the top female skiers, kite boarders in the world. Olympic gold medalist and Whitewater kayaking. And then some people who’ve just gone out and set crazy goals in that space and accomplish them with no prior training. Like for instance, one of our recent guests Colin O’Brady was the first person to cross Antarctica solo and unsupported about a month ago. And before several years ago, he hadn’t had that much arctic experience. There’ve been people doing this kind of stuff for their entire lives. And Colin was the one that had the mental fortitude and the fiscal ability to set some crazy goal that says, “No one has ever done this in the history of human existence, but I’m going to be the first.” [crosstalk 00:16:58] he went out and did it. It’s incredible. So, all kinds of amazing people to share their stories to inspire us to want to pursue that same path. [crosstalk 00:17:07]. Josh Sweeney: Awesome. Well, thank you for sharing. Are there any other items you’d like to share about team building? Marshall Mosher: Yeah. I think the biggest thing is if I give anyone advice regardless of whether they work with Vestigo [inaudible 00:17:22], I would just say do something that’s more meaningful than just getting out of the office and having fun. A lot of people unfortunately think that beer kegs and ping pong tables in the office with a happy hour every now and then create culture. But those are just things. The way that we create culture is by using particular things to empower experience. And the reason why sometimes ping pong tables and beer kegs will help with culture is because they empower experience. The things themselves don’t do anything. So, the only advice I’d have for people is focus on experiences that are going to unite your team together around the shared values and goals that your company believes in. That is what makes your culture important. And don’t focus just on the what focus on the why. Josh Sweeney: I love it. Well, thank you for joining us. Marshall Mosher: Yeah, absolutely. Thanks for having me on the show. Josh Sweeney: Yeah. Thank you for joining us. Fellow culturists you heard it from Marshall, think about the experience. Think about those experiences you’re building. Go above and beyond. Go a lot. Go way above and beyond on those experiences. Create that vulnerability and get people together to share. Josh Sweeney: This has been the Epic Company Culture Podcast and part of our new team building series. We enjoyed having you. Check us out on SoundCloud, iTunes, Stitcher, all the other podcast channels or take a look at our videos on YouTube. Thank you. Josh Sweeney: Thank you for tuning in to today’s episode of the Epic Company Culture Podcast with Josh Sweeney. If you enjoy this content, please subscribe on iTunes, SoundCloud or Stitcher. For additional content and transcripts, visit epicculture.co. If you have questions or topics you would like us to address or expand on, tweet us @epicculture1 or email at podcast@epicculture.co. When you think of your deepest relationships you have with the people that really mean the most to you in life, you don’t think of you going out with that person to do something fun as team building. We know that trust is one of the most important factors for any team based on the relationships they have with their coworkers. The ability to trust their team that they have their back. So, a challenging environment that helps people to overcome whatever perceived limits they thought they had together with their coworkers in a setting that we can directly link with the particular core values and goals of that company. The number one most important factor for any kind of deep, personal human connection is vulnerability. The way that we create culture is by using particular things to empower experience.